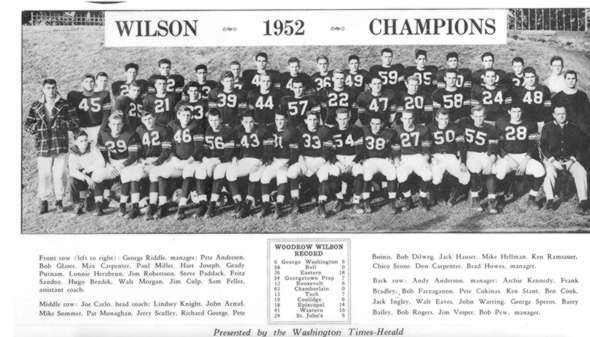 Wilson won the High School football championship in 1952. The game was played in Griffith Stadium. This was only one of many sports championships won by the school. Many of the players pictured above graduated in 1953. Click on the picture for a larger image.